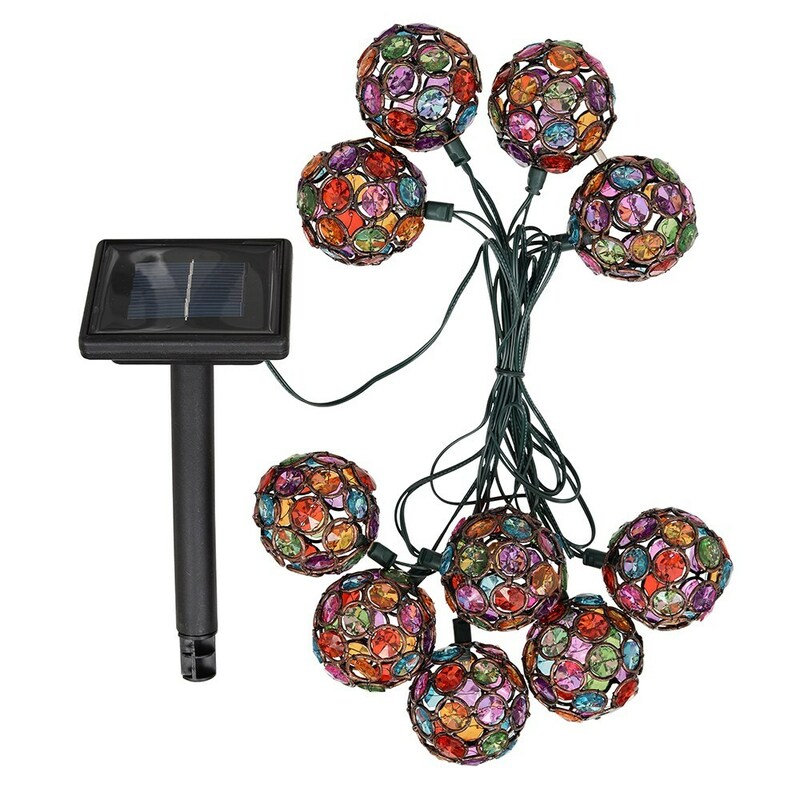 String of 10 unique jewel sphere lights for outdoor use. Powered by both solar and battery for guaranteed year-round performance, with a sensor and 6-hour timer to turn them on automatically at dusk and off at dawn. 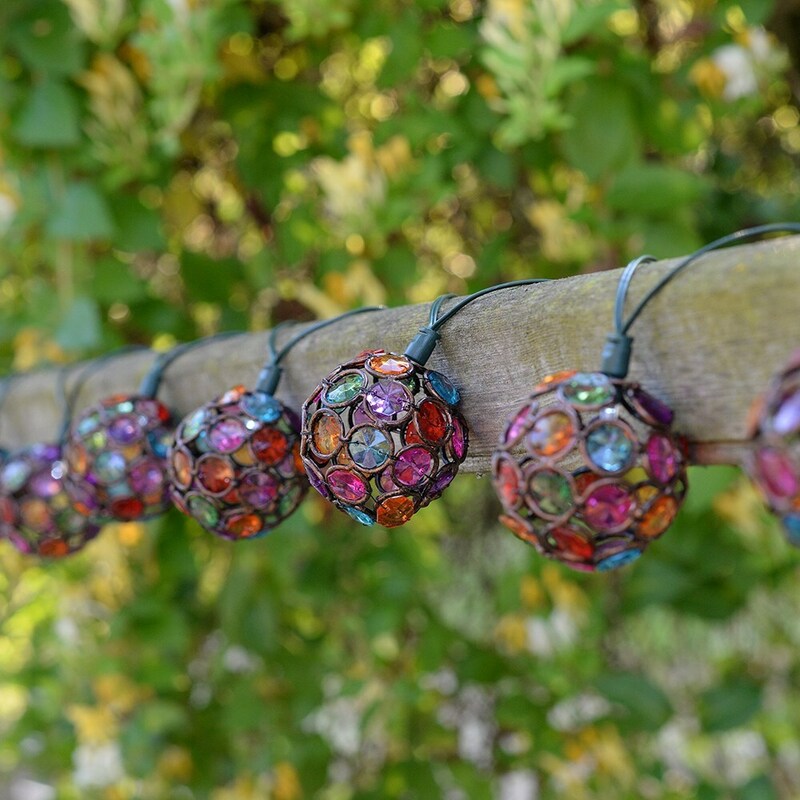 Requires rechargeable and alkaline batteries (supplied).